Experience the heartbeat of Illinois at the Hyatt Regency Chicago, a AAA Four Diamond downtown Chicago hotel that rises 35 stories into the air. The property is ideally situated within minutes of the Illinois Center, Navy Pier, Museum of Science and Industry, Michigan Avenue, Millennium Park, and the world-famous stores and restaurants on Magnificent Mile. Sports fans can catch a Cubs game at nearby Wrigley Field or cheer on the Chicago Bulls at the United Center. The hotel’s newly redesigned rooms boast a soothing décor, 48” smart TVs, complimentary wireless Internet access, spacious work stations and full bath amenities. Guests can indulge in succulent steak and seafood at Stetsons Modern Steak + Sushi , where hardwood floors, warm wood paneling, contemporary lighting and plush seating merge to create an atmosphere of simple elegance. Hyatt Regency Chicago invites you to kick start your day with a breakfast buffet at American Craft or grab-n-go from the Market Chicago; later in the day you’re welcome to try the much touted buffalo wings served at Big Bar. For all things business, guests can take advantage of the property’s meeting rooms, ballrooms and Riverside Exhibition Center, which together encompass 228,000 square feet of function space. 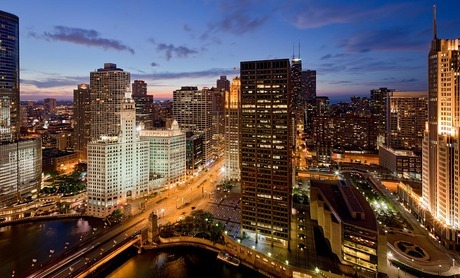 Savor the essence of Chicago at the luxurious Hyatt Regency Chicago. Free Wi-Fi for all guests launched February 14, 2015 at all Hyatt hotels and resorts worldwide. It’s #WiFinally here! Guests can now enjoy free Wi-Fi on an unlimited number of devices in guest rooms and social spaces, regardless of how they book or where they’re traveling. 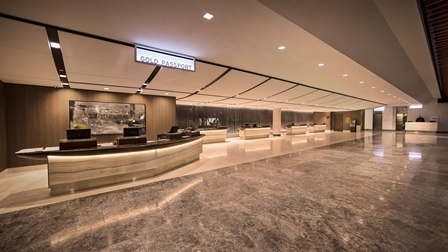 On-site valet parking available for $69/night with in/out privileges. 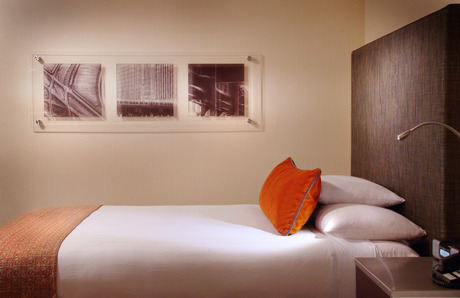 Hyatt Regency Chicago is an ideal Chicago lodging choice for your trip to Illinois. With numerous amenities for guests such as room service, car rental, 24 hour front desk, you will wake up at Hyatt Regency Chicago feeling ready to go every day for your time in Chicago. Don’t let this amazing reservation opportunity pass you by, book your stay at Hyatt Regency Chicago today to make the most of your time in Chicago, Illinois.